Quite a few gambling games that are luck-based, especially at online casinos. One that isn’t is blackjack. It is the most widely played casino game in the world. This card game is played between the player and the dealer, regardless of whether it is at a land-based or online casino. Blackjack, also referred to as 21, is considered one of the most popular casino table games to ever come into existence. It’s admiration stems from the fact that its entertaining and extremely easy to learn while being widely available at almost every land-based and online casino, giving players some of the best odds at beating the house. The rules of blackjack are easy to learn as well as the optimal strategy to give players the best odds of going home a winner. In this article, we will journey back in time to learn the origins of blackjack and uncover the development of the game over the last two centuries. I will also cover blackjack rules, different card values, betting rules, different playing options, and how to understand the casino’s edge. Lastly, we will have a look at the best strategies and tips you can use, followed by a few fun facts and frequently asked questions surrounding the game of blackjack. The objective of playing blackjack has to be crystal clear. While it may seem like you play blackjack to score 21 points or the closest to it – you lose if you score more than 21 – that is not the objective. Your primary objective is to beat the dealer. Like every game, blackjack too has its own set of rules. The following are the important rules of blackjack. The game is played with 1 to 8 standard card decks of 52 cards each. The number of decks used depends on the type of blackjack game you are playing. The cards 2 to 9 have their face value. The cards 10 to King have a value of 10. The Ace has a dual value – 1 or 11. You can use the value that best suits your hand. Your hand value is the sum total of the value of the cards in your hand. The highest hand is the blackjack hand, a two-card hand with an Ace and a 10-value card. The first step to playing is to place your wagers, after which the dealer deals 2 cards to you and himself. One of the dealer’s cards is dealt face-down; this card is called the hole card. The game type determines which of the dealer’s cards – first or second – is dealt face down. Some blackjack games give you a betting option called the ‘insurance bet’. This is a side bet that comes into play if the dealer’s open card is an Ace, raising the possibility of a blackjack lurking in the deal. In case the dealer’s hole card is a 10-value card the payout becomes 2:1 so you do not lose totally. The dealer’s blackjack hand beats all other hands. If the player also has a blackjack the game goes into ‘push’ mode and another round is dealt. This applies whenever you and the dealer have hands of the same value. There are different play options to choose from when a hand has been dealt. Stand: You choose to stay on as is and not opt for an additional card to be dealt. Hit: You draw another card, or even more, if your hand value is not high or close to 21. Bust: You go bust if your hand value – the initial hand or the hand after the additional card(s) have been dealt exceeds 21. Surrender: You can afford to let go of your hand if your initial 2 cards are not strong. In that case you lose only half of the amount you bet. This option is not available at all online casinos, however. Double: You double your bet and get an additional card. Split: You can split your cards if you have two 10-point cards or a pair of cards of the same value. Of course you will also need to double your wager. Splitting the cards separates them into 2 individual hands and the dealer gives you two cards, one for each separate hand. The game progresses as usual for each hand; you can perform any of the actions described above – hit, stand, or double. Some games do not allow doubling after you split a hand. A hand of 10 and an Ace does not count as a blackjack in a split hand. You can re-split usually to a total of 4 hands. You get only one card for each hand if you split Aces. Some games do not allow re-splitting of Aces. The rules of blackjack are very simple, the play is exhilarating, and there’s loads of opportunity for high strategy. In fact, an experienced player who plays a perfect mathematical game and who is able to count cards will quite often have the odds in his favour to win. But, even for the casual player who has a reasonably good game, the odds at the casino are far less when playing blackjack, making it a very attractive casino game. Before you start learning how to play blackjack, you first have to understand how the game is played. Therefore, we are going to cover the basic rules of blackjack, the main objective of the game, and look at a few protocols that you need to know while playing. I often pick up a brochure on how to play blackjack at a casino and shake my head in disgust. Invariably it will state that the main objective is to get as close to 21 as possible and it couldn’t be more wrong. The main objective in blackjack is to beat the dealer’s hand. This can be done by either having a total exceeding the dealer’s hand or by not going over 21 when the dealer does. In Blackjack, all cards will count their face value. All picture cards will count as 10 points and the Ace can either count 1 or 11. The four card suits have no meaning in the game of blackjack. The total of any hand will be the sum of the card values in your hand. For example, a hand containing 8-5-4 will total 17, and a hand containing king-5 will total 15. The Ace will always be seen as 11 unless your hand exceeds 21, in which case the Ace card will revert to a value of 1. When a dealer or player’s hand exceeds an overall total of 21, this is known as a bust. (When the dealer’s hand exceeds 21, it is often referred to as a break). So, if a player was dealt 9-7 and drew one more card displaying a 10, the player busted because his hand totalled 26. A hard hand is considered any hand not containing an ace, or if it does, the ace will count as 1. For instance, 10-9 is a hard 19 and 6-A-2-10 is a hard 19. A soft hand is considered a hand containing an ace that counts as 11. For instance, A-6 is a soft 17, 5-2-A is a soft 18, and 3-A-2-3 is a soft 19. When receiving your first two playing cards and one is an ace, you should count the ace as 11. Quite often, when dealt a soft hand and you draw more playing cards, your hand will convert to a hard hand. For instance, let’s say let’s say you are dealt A-5 which is a soft 16, and you draw another card that displays a 6. You will now have a hard 12. Keep in mind that you can never bust when drawing to a soft hand. The reason you need to understand the difference between hard and soft hands is because the strategy is quite often very different even though the hand total is the same. 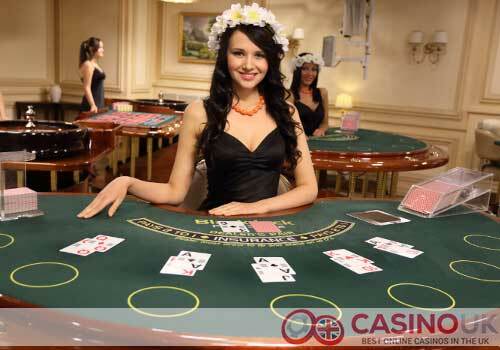 The game of blackjack is played on a semi-circular table usually seating up to 7 players. There will be a square box, or sometimes a circle, known as the betting spot, situated in front of each player where casino chips can be placed to make a wager. A casino dealer will be responsible for dealing the cards, adhering to strict casino protocols, paying off winning bets, collecting losing player bets, and keeping the gaming going at an acceptable pace. As a dealer, the basic rules of the game still apply. Since dealers are responsible for paying out winning bets, they can’t take insurance. They also can’t double down, split their hand or surrender for half their bet. Dealers are also limited on how they hit or stand. In most casinos, a dealer will always hit on 16 and stand on 17. Blackjack is a game where strategy plays an important role. Strategy will not help you win all the time, but it will definitely help ensure you do not lose too much more than you win. Your blackjack strategy will depend to a large extent on the dealer’s open card. The open card gives you a rough idea of the different possibilities when it comes to the dealer’s hand. That, together with the hand you have, gives you a good idea of the strategy to adopt in terms of your play. You need to understand the difference between a hard total and a soft total; and then there are the pairs as well. The strategy will differ for each of these types of hands. Check with a strategy card for the different strategies to adopt for the different kinds of hands under each of these totals. Some games have a rule that requires you to hit on a soft 17. Check out the exact composition of your hand. That will give you a fair idea of what action to take. 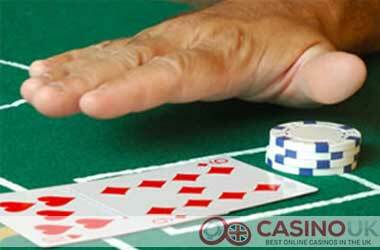 Check if the casino you are at allows side bets and if so, the kind of side bets available. That can give you a chance to pick up some extra win or at least ensure you do not lose all your money each time. How to play Blackjack for Real Money? The best way to play blackjack at an online casino is to play for real money. Real money play gives you a chance to win actual money. However, you will need to wager actual money, which means you could also lose. Playing blackjack for real money is easy. Sign up with the casino by providing the personal information that the casino asks for. Select a username and a password that you can use to log in to your account each time. Deposit funds into your casino account. Check for the welcome bonus available and contact customer support if required to get it activated. Get yourself a blackjack strategy chart to know the different kinds of play possible for a hand. Over time you will be able to get the different play options in your head. If you are new to blackjack, make sure you play the game in practice mode before opting for the real money mode of play. That gives you an idea about how the game plays out and allows you to hone your skills. Players are often unsure of the several types of betting and playing options found in an online game of blackjack. With this in mind, I included all the definitions for different playing options, betting choices, and online gameplay control buttons below to help you understand what they do and how they operate. Chip Settings: Players will find minus and plus arrows displayed on the side of most game screens when playing blackjack and this is how you are able to adjust the values of chips you will be wagering on the betting box placed in front of you on the table. You can either click the plus and minus arrows displayed on the screen or even choose one of the chip values that are placed on the outer rim of the blackjack table to increase or decrease your bet. Stand: Once your two initial playing cards have been dealt, and you are satisfied with your hand value, you can decide to Stand. Standing will ensure no additional cards are dealt and will indicate that you are happy with your current hand. Hit: Once you received your two initial playing cards, and you are not satisfied with your current hand value, you will also have the option to Hit. When you decide to Hit, the dealer will draw one additional card that will be added to your current hand. Split: In most blackjack variations, when you are dealt two of the same cards, also known as a pair, you will have the option to split the cards to create two new hands. The dealer will then draw two more cards, one for each new hand and your original bet will be doubled to cover for the new hand. Betting will then commence as per normal, but you will now have two hands to try and beat the dealer’s hand. Double Down: This is one of the most thrilling moves you can make in blackjack. It will allow you to double your bet, after your initial cards have been dealt, in exchange for one additional card. This is quite a risky gamble as it will usually end your betting. Should you receive a low second card, you will not be able to hit again. But, should you win, you will receive double your original wager. Surrender: Some variants of blackjack will allow you to Surrender your hand if you think the values won’t beat the dealer’s hand. When taking the Surrender option, you will lose half your initial wager and the remaining half will be returned to you. There is also an early surrender option and a late surrender option available on some blackjack variants. Insurance: When the dealer displays a face-up ace, the opportunity for an insurance wager will arise. The insurance option is made available in case the dealer receives a blackjack or 21. Should the dealer have blackjack, you will win 2 to 1 on your insurance wager. An insurance wager is a side bet and does not include your original wager. Also keep in mind that should you opt in for insurance, you will need to bet half your original wager to cover insurance. Insurance is considered a very bad wager in blackjack. Find an online casino that allows you to play in practice mode. This helps you hone your game and be aware of the different hands you are likely to get and what you are likely to be up against when facing the dealer. Find a blackjack game that has a low house edge. The lower the house edge, the better the chances of you winning. Ensure you have a good system in place to manage your bankroll efficiently. Figure out the optimal amount to play each hand; that way you have enough money at hand to last long enough to put together some decent wins. Get hold of a blackjack strategy card that lists out what is the best play option for each hand in a particular blackjack variant. Here is a list of terms commonly used in blackjack. 21: This is not just another name for the game of blackjack but also the desired value of your hand that guarantees an automatic win, except if the dealer has the same value as well, in which case the game goes into ‘push’ mode and you are dealt another hand. Ace: This is the one card from the deck that has a dual-valuation in blackjack – 1 and 11. You can use whichever value suits your hand the best. 5, 6, or 7 Card Charlie: This terms is used to represent a hand in blackjack that has a value of 21 with 5, 6, or 7 cards. Bankroll: The amount of money you use to play a game of blackjack for real money. Blackjack: The winning hand in the game that achieves a value of 21 with just the 2 initial cards – a 10-value card and an Ace. Bust: The terms represents a hand value of more than 21, resulting in an automatic loss. Card Counting: A controversial technique that involves memorizing the cards that have been already dealt to create a fair chance of being able to predict what the forthcoming hands would be like. This allows players to change the house edge to their advantage. Card Counter: A person who knows and employs the technique of card counting. Doubling Down: The act of doubling your bet when you take a third card, usually the last one, after the initial 2 cards have been dealt. This is good strategy to employ if your hand value is between 9 and 11. Even Money: A payout that gives you an even payout, i.e. you win the same amount you bet. Face Cards: Those cards that have a face to it and are of high value – Jack, Queen, and King. Hit: The term used to describe the act of asking for another card from the dealer after the initial 2 cards have been dealt. House Edge: The advantage that the house enjoys over the player in terms of probability of winning. Insurance: A bet that some games give you the option of placing should the dealer’s open card be an Ace. Push: The term represents the condition where the player and the dealer have equal hand values; the player keeps his bet and another hand is dealt. Re-split: The act of splitting a hand again, after you have split it initially. Hard Hand: A hand total that does not have an Ace; it could have a total over 11 and an Ace as well; the Ace value in this hand is 1. Hole Card: The card on the dealer’s side that is dealt face down. Soft Hand: A hand with an Ace in it that is counted as 11. Surrender: An option available in some blackjack variants that allows you to give up midway through a game. You keep half your bet in this situation. The history behind blackjack has eluded numerous researchers for the longest time. Even today, there is, unfortunately, no consensus as to how the game was invented and no set point in history as to where the game originated. One widely agreed upon theory surrounding the origins of blackjack is that it evolved from a French card game known as Vingt-et-un, translating to twenty-one. The game was immensely popular at the beginning of the 18th century, being played regularly in the Royal Court during King Louis XV reign. However, there are a few older card games that might have had an influence on the development of Vingt-et-un, and in turn, can be seen as precursors to the game of blackjack. These card games include French Quinze, the Italian Sette c Mezzo, and the Spanish Trente-un. Each of these older card games attributed values to each playing card, and the objective was to draw cards and reach a certain value without busting. Some of the card games even featured a flexible value for the Ace card, being very similar to the modern-day version of blackjack. Since these card games are much older than Vingt-et-un, originating during the 15th and 16th centuries, it is highly likely that they influenced Vingt-et-un that was an extremely popular game during the 18th century. The reason the French game of 21 became so much more popular that the earlier card games were due to the element of skill involved. A substantial amount of skill was required to play the game instead of solely relying on luck successfully. Vingt-et-un was introduced to America during the 18th century by French colonist where they renamed the game 21. The rules of the game had several distinct differences at the time when compared to the modern-day version we all love and enjoy. For instance, there was an additional betting round between the playing cards being dealt, and in some cases, the second card of the dealer was made visible from the start. It was also considered normal for the dealer to make his decisions regarding his dealt hand. Soon after that, dealers started following the mandatory blackjack rules which included hitting on 16 and standing on 17. Due to several gambling bans in France, Vingt-et-un did not spread and develop further during the 19th century. However, the game of 21 gained increased popularity and flourished in America. The first house banked and legalised games were introduced in New Orleans in 1820. However, player banked and non-legalised games were extremely common everywhere else across the country. The interesting tale of Eleanor Dumont originated from this time. Eleanor was born in France and immigrated to America at a youthful age. She was renowned for being a skilled card dealer and banked and dealt the game to any player, for any stake. She constantly moved from place to place, and finally settled in Nevada City, California where she opened a gambling parlour named Vingt-et-un on Broad Street. Only well-to-do and rich men were allowed to enter the gambling parlour, with no women allowed. She was famous for her beauty, despite the nickname ‘Madame Mustache’ due to a line of hair on her upper lip, and men from all across the country travelled to California to play against this beautiful female dealer -which was quite rare at the time. She flirted with men to ensure they will return for more, but still managed to keep a safe distance from them too. Eleanor had tremendous success in her business venture, right up until the gold rush era ended. Thereafter she returned to travelling across the country as a female dealer, attempting to build up her wealth. On the 8th of September in 1879, she was found dead in Bodie, California. It was believed that she owed too much money, and therefore took her own life. During the early 20th century, the game was still known as 21 when it gained immense popularity in Nevada, following the 1931 state legalisation of gambling. To successfully attract more players, several casinos offered a unique payout of 10 to 1 when a player achieved 21 points with one of the black jacks (i.e., the Jack of clubs or spades) and the ace of spades. Although this extremely high payout was removed soon thereafter, the name Blackjack remained from this point on. With the legalisation of gambling came a need for standardised, clear game rules. The Nevada Gaming Commission defined the rules and its these rules that are mostly still used today. Despite the measures by casinos to prevent card counters, the game of blackjack continued to be an extremely popular card game enjoyed at Las Vegas casinos and across the globe. The boom of the internet saw the next big chapter in the history of blackjack arrive. The first online casinos offered the classic standard version of blackjack. But soon thereafter, there was a wide selection of blackjack variants available online, with different rules and innovative and unusual features. There are hundreds of different blackjack games nowadays, with various rules and unique names to go with them. There are also numerous interesting and new side bets available, including Super 7’s, Perfect Pair, and 21+3. There’s also several blackjack games with progressive jackpots and even new versions of the game completely changing the gameplay itself. Blackjack Switch is one such example and is considered one of the most innovative variants of the game that can be enjoyed online. The game consists of playing with two hands simultaneously. Once the cards are dealt, you will have the ability to switch the cards at the top for both hands, enabling you to create the optimal hands to play with. 21 Duel is another interesting online game variant, and in this game, two community cards will be dealt face-up and placed in the middle of the table. Both the player and the dealer needs to select one of the two community cards to make their hand. The player and the dealer can choose the same community card to play with. Card counting is a disadvantage in online blackjack as its virtually impossible to achieve. Although there might be 6 to 8 decks of cards available in the shoe, after every hand played they will be reshuffled. This can be achieved within a fraction of a second thanks to computer technology. The same can be said for single deck games that were non-existent in land-based casinos due to card counting. With the inception of the first online casinos, players had the opportunity to test their luck on blackjack at any time, day or night. It also offered several different and innovative variants of blackjack that can be enjoyed online. Despite the numerous advantages of playing blackjack online, there remained one vital drawback – the lack of atmosphere. Although playing from home was seen as a convenience, most players missed the ambiance of playing at a real casino. Card counting became impossible of course, and some even suspected the results given by the random number generator could not be fair or be trusted. So, despite the perks of playing online, there was still a major demand for real games. 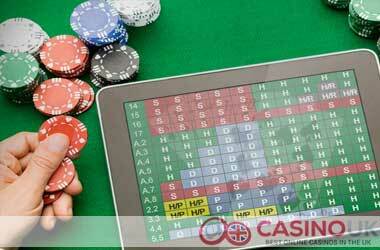 To successfully cater to this demand, online casinos introduced live games with live dealers. The first live casino, however, was far from perfect. Blackjack games were streamed live from land-based casinos, and unfortunately, the view of the table was obscured by other players. Due to the limitations of technology at the time, the video streaming quality was also very poor. To make matters worse, interaction with the dealer was also not possible. This led to a rather uninspiring playing experience, leaving players quite unsatisfied. In 2006, the breakthrough in live gaming, featuring new, purpose built studios, were introduced for live games. This innovative approach offered distinct advantages, such as the highly improved quality of video streaming and several cameras being utilised to provide multiple views from different angles, with no obstructions from players walking past the tables. Furthermore, players had the option to interact with the dealer, very similar to that of a real casino. Players could observe the dealer shuffling the cards, and the bet behind options was introduced, allowing an unlimited number of players to play the same game. The only disadvantage to live blackjack games is the lack of choice in game variants. Therefore, you will only be able to play variants featuring standard rules with real dealers. However, you are able to find a selection of different table limits, and most world-class providers offer a range of different side bets. Blackjack is a one-player game. The game is the player’s opponent, not the dealer. Statistically speaking, taking insurance is considered a sucker’s bet because you lose more than you win. There are approximately 140 different countries across the globe that offer blackjack in their casinos. The actual name of the game is 21. Blackjack is actually a slang name that was introduced during the 1920’s. The second-best hand in the game is 20. The worst hand in blackjack is 16, followed by the second worst hand being 15. The third best hand in blackjack is 11. Mathematically, in a hundred hands, the player will win 44 hands and the dealer 48 hands, and there will be eight ties. The dealer has more wins as he/she plays their hand last. The blackjack shoe was introduced during the 1950’s in Cuba. The blackjack house edge is less than 1%. Blackjack is one of the only casino games where your decisions matter. The standard payout for blackjack is 3 to 2. Why is the game of blackjack so popular? There are numerous reasons why the game of blackjack is so popular. It is firstly loads of fun and extremely easy to learn the game. Another contributing factor is that it provides the lowest house edge of any casino game. What is the house edge for blackjack? Most casino games feature a fixed house edge, but with blackjack, this is not the case. There are several blackjack variants with different rules, and the house edge will vary depending on the variant you play. It will also vary depending on how you play the game. With the correct set of rules, along with optimal play, the house edge can be lower than 1%. Is blackjack only based on luck? The simple answer is no. There is a significant level of luck involved, as the outcome will depend on the playing cards dealt. This is a factor that no one can control, at least not without cheating. However, the outcomes in blackjack can also be directly related to how you play the game. The overall effect of luck can be reduced by making the right decisions on every hand. Although luck will still be a contributing factor, your actions in blackjack will have a bigger impact on your expected returns. No, card counting is not illegal. However, casinos are not fond of it for obvious reasons, and they are within their rights to ban you from the casino if they are under the impression that you are counting cards, but they do not have the power to arrest you. If there’s a risk of going bust, should I always stand? Absolutely not. The ‘never bust’ strategy might appear to be a safe option but is actually damages your expected returns. Basic strategy is the only correct strategy to utilise while playing blackjack, basically informing you on what to do and when to do it. There are times when standing is the correct option, but there are also times when you should be taking another card even if it means going bust.